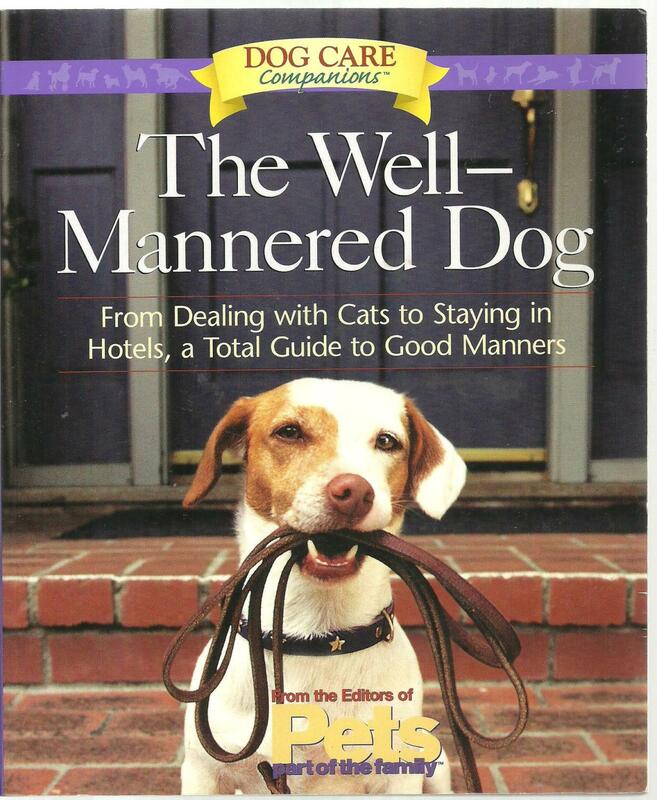 The ultimate etiquette book for dogs! Master trainers tell how to make your dog a model citizen in every situation. You'll find practical advice on topics such as:<br /><br />Getting Rowdy ... Greeting Dogs ... Making Mischief ... And Hogging the Couch<br /><br /><i>The Well-Mannered Dog</i> shows exactly how to help dogs behave in specific situations and places-- in parks, on the road, in the air, even when visiting friends.<br /><br /><i>The Well-Mannered Dog</i> is part of the Dog Care Companions, a series of books for pet lovers on behavior, health care, training, communication, and more. The <b>Editors of <i>Pets: Part of the Family</i> </b>books are devoted to exploring, celebrating, and honoring the unique bond that exists between pet and owner.